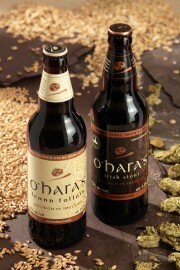 Follow Me Up to Carlow for O’Hara’s Premium Irish Craft Beers! 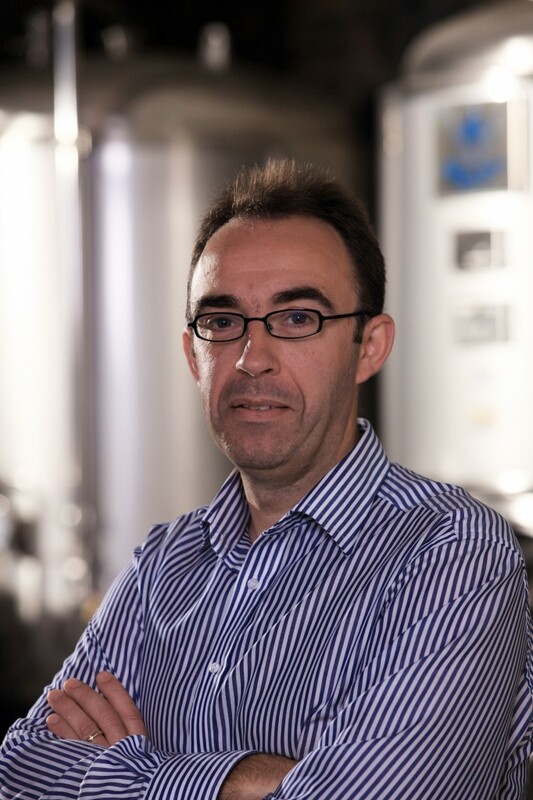 Craft beer connoisseur Seamus O’Hara and his brother Eamonn founded Carlow Brewing Company in 1996, in County Carlow, Ireland. 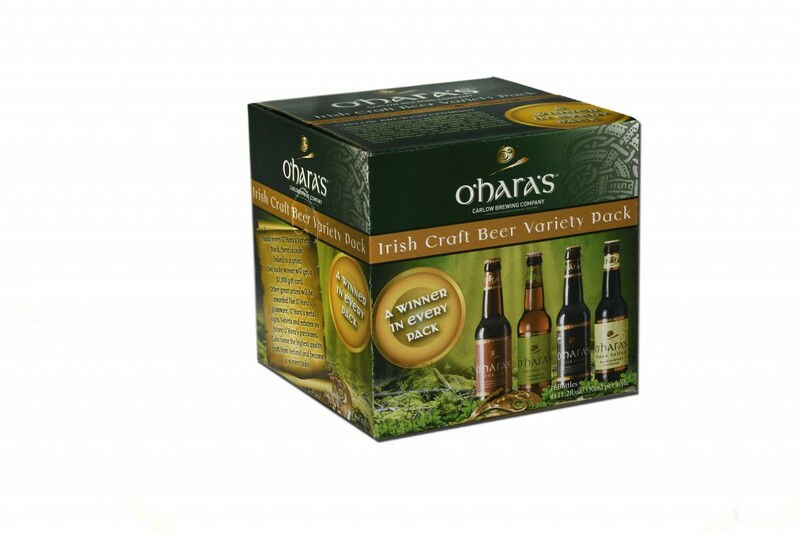 Determined to revive the long lost art of Irish craft beer brewing, the O’Hara brothers made a promise to produce a range of premium, full flavored beers using only the finest pure natural ingredients in the traditional way – and they have delivered! O’Hara’s award winning beers are now recognized as the number one craft beer in Ireland and are earning accolades internationally. Coloradoans will be able to enjoy the genuine Irish beer, brewed in Ireland, and have a pint of O’Hara’s with brewmaster and founder Seamus O’Hara when he visits Colorado in March. Seamus will be happy to meet you Friday March 14 between 6-8PM at Brendan’s Pub, 404 Broadway, Denver and share the O’Hara’s craft beer experience. Seamus recently took time to chat with The Celtic Connection in advance of his trip to the States and gave some insights into the business of beer. Attracted to home brewing in his late teens, Seamus honed in on his passion when he went to college and studied bio tech and brewing. Initially, the big challenge was not only that the market was over dominated by the big macro companies, but ‘over regulation’ kept the smaller micro craft beers out of the on premise (Pubs) markets. As frustrating as the big beer business blockade was to the O’Hara brothers, they saw a silver lining; it nudged the O’Hara’s to export their beers. “That’s why we became an export business in an early stage of our business, as well as selling our beers domestically at off premise stores,” explained Seamus who added, “The U.S. is the biggest export market along with Italy, France and Croatia.” Currently there are four O’Hara’s beers available in the States – Irish Stout, Irish Red, Irish Pale Ale, and ‘Lean Folláin’ (wholesome stout in Gaelic), a full-bodied extra Irish stout. This year there are plans for more O’Hara products to be introduced to the U.S. market. None of these changes in the beer business and consumer habits in Ireland have adversely affected O’Hara’s. Their independent, family owned brewery expanded 4 years ago and they are in the process of expanding again. O’Hara’s have played a big role in the revival of Ireland’s microbreweries and continue to move forward with the highly successful craft beer evolution. If you’re planning a trip to Ireland, stop by O’Hara Brewing Corner that opened this past year in Kilkenny. The craft beer bar showcases all of O’Hara’s stouts and ales, wheat beers, lagers, and specialty beers, as well as the best of local and international craft beers. Meanwhile mark your calendar for March 14 and plan to have a laugh and a pint with Seamus O’Hara at Brendan’s Pub in Denver. O’Hara’s is distributed in the U.S. through Paulaner HPUSA. If you have questions about the products contact the Mountain Region Manager, Tom McGuire at 303-799-6644. The Colorado Irish fighting community was well represented at the 4th Annual Best in Colorado MMA Awards on Sunday, February 23. 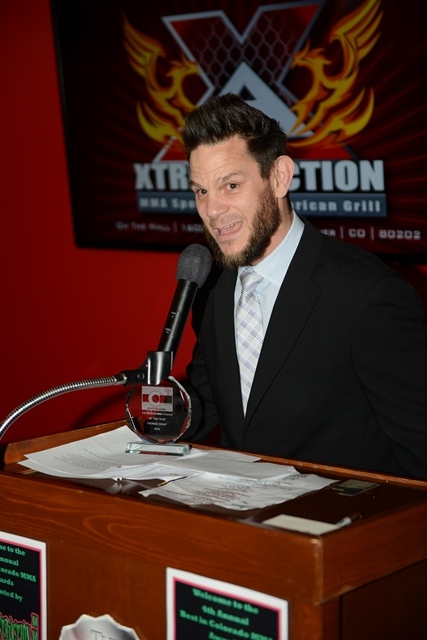 More than twenty awards were given out at the new Xtreme Action MMA Bar on the 16th Street Mall in Downtown Denver and of those a number went to Irish community members. Casey O’ Day of CMO Photo, won Photographer of the Year for his ringside work on behalf of Shameless MMA. 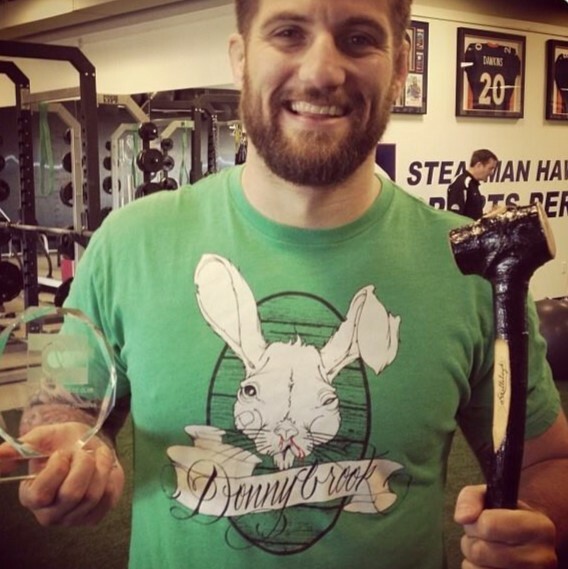 Legendary fighter Thomas Denny, coach of local gym-Team Wildman, took home individual honors as Coach of the Year as well as having his team win the Colorado MMA Cup and his gym win Fans’ Choice Gym of the Year. 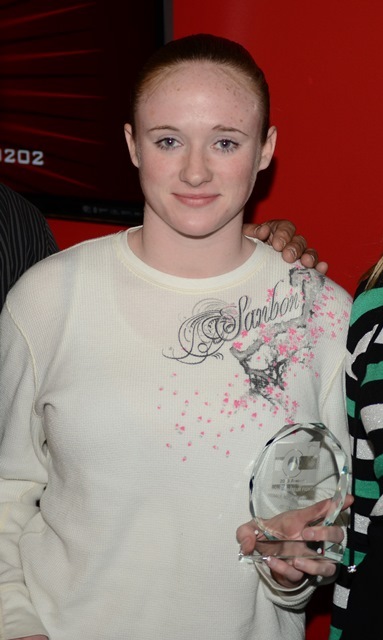 Fighter JJ Aldrich won Amateur Female Fighter of the Year for the second year in a row and for the third time in four years. But the big story was the awarding of the first ever Colorado Celtic ‘Club’, honoring one Irish-American mixed martial artist based in Colorado. Nominees included Canaan Grigsby, Jason Clayton, Jason Lee and JJ Aldrich, but the inaugural winner was fan favorite UFC fighter, Cody ‘Donnybrook’ Donovan. He was awarded a shillelagh from Ireland on behalf of The Celtic Connection along with a sword from FusBoxe MMA. The overall event saw more than two hundred attendees including UFC fighters Brandon Thatch, Chris Camozzi, Neil Magny, Drew Dober and Ed Herman, as well as 9News Anchor Corey Rose. The awards are nominated by the Colorado MMA Press Club and voted on by the local community and fans. In the space formerly occupied by the Denver Juvenile Court is the latest and greatest musical broadcast venue in the City. The City and County of Denver’s public access cable channel has its offices in the basement of the City and County Building and the production set is in the former courtroom where the first shows produced by the professional crew aired in February. Aimed at younger members of the community and produced by long-time Red Rocks stage production manager David DiManna, the Denver Loft Sessions will showcase a variety of musical acts from the Denver metro area. A search for Celtic bands in January of this year led to many expressions of interest from local bands with The Indulgers being chosen by DiManna as the first to perform because of their energy and the sounds that result. A 25 minute show was taped in early February for broadcast in March to coincide with St. Patrick’s Day. The Indulgers played several songs from their latest CD, “Whiskey Tonight” and each member of the band was interviewed for the show. Plans call for other Celtic bands to be featured in coming months.